Hypo Allergenic Bedding Questions Finally Answered! What Does “Hypo Allergenic” Mean? Relatively unlikely to cause an allergic reaction. Am I Allergic To Dust? Simply put, dust mites are tiny cream-colored microorganisms that love warm and moist climates. They make their homes in fibrous materials like: rugs, carpets, drapes, bedding, mattresses, and upholstered furniture. These minuscule animals love to eat dried up skin cells, saliva, and dust. Dust mites, which are so small and can number in the millions, can cause allergic reactions because of the proteins in their excretions. When dust mites secrete waste, they dry out and head out into the air quickly and easily. These waste products are so small (cannot be seen by the naked eye), they can be easily inhaled without even knowing. The results are immediate if you are allergic. Dust mites are also harmful to individuals who have allergies or who suffer from respiratory conditions, such as asthma. According to the Asthma and Allergy Foundation of America, it is estimated that about 20 million Americans are allergic to dust mites. Enter hypoallergenic bedding! What is Hypo Allergenic Bedding? If you want to be sharp and feeling good during your waking hours, a good night’s sleep is obviously important. For people who suffer from allergies or asthma, sleeping well is not always guaranteed. Sometimes simply changing your bedding can make a very large difference. The problem with taking precautionary measures against allergies is that no place is dust free or pollution free. Whether you are traveling or sitting at home, the threat posed by dust and dirt always remains. Now, innovation has created so many interesting concepts to market, why should bedding be any different? Thankfully, there are ways to make your mornings a little more fresh than they otherwise are. Bamboo bedding is specifically manufactured for those who suffer from asthma and allergic conditions. 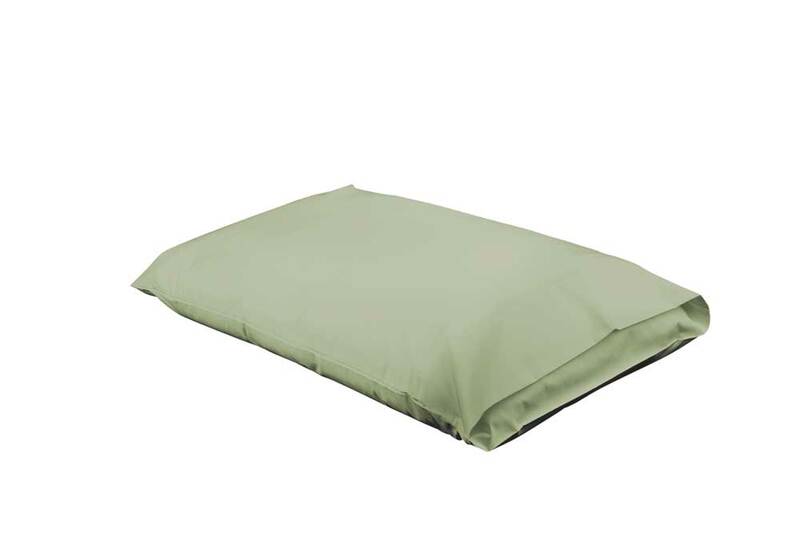 Bamboo bedding is hypoallergenic and is unlikely to cause an allergic reaction for allergy sufferers! For those who sleep normal hours (6-8 hours per day), you realize you’ve spent a good portion of your life in bed. On top of the sleeping thing, the bed is also known to be a very comfortable place to watch TV and make babies (wink wink). A wide variety of products such hypoallergenic sheets, duvet covers and pillow cases can offer a comfortable and practical solution for some with allergies. Just like any other bedding available, there are many colors and sizes to chose from. With hypoallergenic sheets, an allergy sufferer can climb into bed knowing they will sleep better, longer and easier. Even if you’ve never had allergies before, you might start sleeping better in these bed sheets because they wick away moisture from your body which keeps the bed as dry as possible. We understand that all of the sniffling and watering of eyes can make it hard for anyone to fall asleep and therefore, it would be to your benefit to buy hypoallergenic sheets but, hold on! Your face rests on your pillow, pillows should be the real concern! Due to the fact that your head, nose, and throat lie directly on the pillow, you’ll be getting up close and personal with at least one (actually I sleep with two), every night. So, as you can see, it’s crucial that pillow cases don’t trigger any of your allergies. Six to eight hours of repeated breathing on a pillow that is not hypoallergenic is enough to make you go nuts. Do I Need a Hypo Allergenic Mattress Pad? Hypoallergenic mattress pads are very good for people who suffer from allergies and for people who are allergic to regular down mattress pads. They have the same dreamy softness and warmth of a down mattress pad but without the allergens. They can certainly help, if you are going to make your entire bed hypoallergenic. Where Can I Buy Hypo Allergenic Bedding? Bamboo Sheets Shop, with offices in Montreal and Hallandale Beach, Florida specializes in hypo allergenic bedding! Is There Anything Else To Protect My Home From Dust Mites and Other Allergens? The air that flows in your bedroom and home can be so much dirtier than the air outside! You can remove most of the allergens from your home with a HEPA air purifier. There are also special vacuum cleaners by Dyson, with HEPA filters that can remove allergens from your old carpets, couches, (just about anything in a house). As well, dehumidifiers also play an important role in making your home allergen-free. Lastly, you can use eucalyptus oil with some water in a spray bottle to as a cleaning product to eliminate dust mites and other allergens.